LiveCode LessonsLiveCode LessonsHow To - Step-By-Step Guides To Tasks In LiveCode Using GraphicsHow do I create and move graphics in an app? There are many cases where you might want to create an app that allows the user to author content. You can allow users to create and edit LiveCode controls within an app. In this lesson we will see how to create a very simple example of this type of app which you could use as a basis for a more complex app. 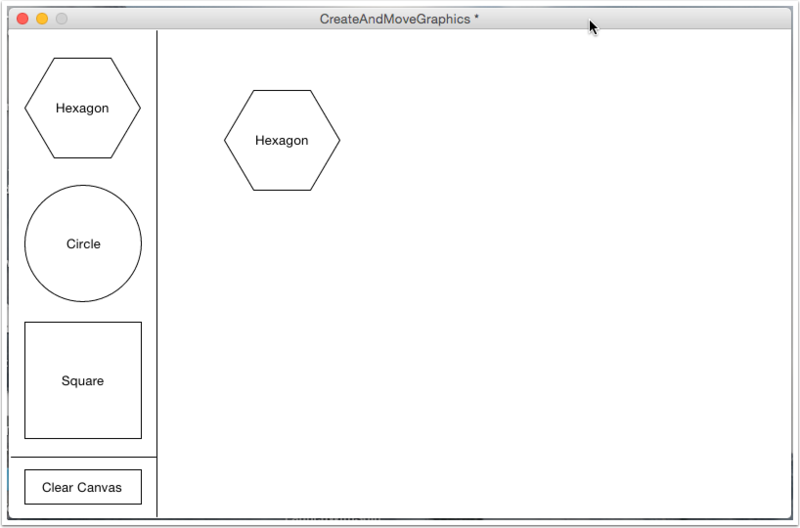 The first step is to allow the user to add graphics to the canvas. Clicking on one of the template shapes will add the shape to the canvas. Because the template graphics are grouped together we can add the code to the group script. 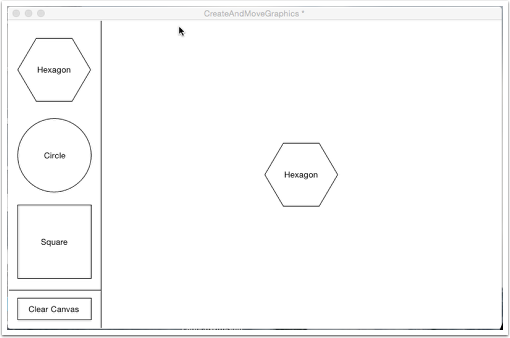 Select the "templates" group, open the Script Editor and add this mouseUp handler. We use the target to check which template was actually clicked. This saves us from adding code in multiple places. The createShape command is implemented on the Card Script, open the Card Script and add the command. 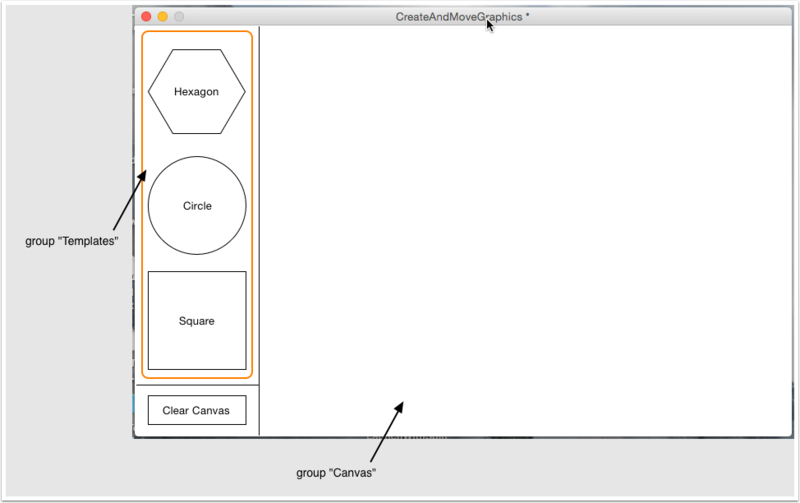 copy graphic pShape of group "Templates" to group "Canvas"
set the loc of it to the loc of group "Canvas"
Switch to Run mode and try it. The next step is to allow the user to move the graphics they have created around the canvas. Again, becuase we have created the new graphics in the "Canvas" group we can add the code to the group script. Open the Script Editor for the group and add the mouseDown handler. The grab command causes an object to follow the movements of the mouse. ask "Please enter the text to be displayed"
Finally we will add code to the "Clear Canvas" button to reset the canvas by deleting all the graphics that have been added. delete graphic x of group "Canvas"
Note that we repeat down through the graphics. Because we are referring to the graphics by number as we delete them the number of graphics changes, by counting down the graphic we are deleting will always exists.